Mr. George Karagiorgis, CEO of Endress+ Hauser Hellas S.A., talks us about the development of the company from its foundation until today, the mother company Endress+ Hauser Group, the company’s main products especially in the shipping sector and the future objectives of Endress+ Hauser. 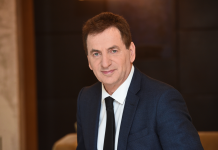 Mr Karagiorgis, you are the CEO of Endress + Hauser Hellas SA. Please describe us the development of the Greek Company from its foundation until today. Endress+Hauser Hellas S.A. as a 100% affiliated company of the Endress+Hauser Group in 2018 had started a reorganization program and very fast was transformed to a company that operates with the same standards as all the Sales Centers of the Group. It has introduced and is applying the SOPs (Standard Operation Procedures) of the Group. It has been connected through a direct communication line to the Group’s IT system and network and has implanted the Endress+Hauser culture, spirit and principles to all its Employees. Moreover the difficulties that all Greek companies are going through the last eight years due to the Greek Crisis, Endress+Hauser Hellas S.A. has kept all its employees on board without changing any of their incomes and benefits and has improved a lot their working environment and tools. This care of its Employees and their continuous local and abroad trainings has boosted their satisfaction, dedication and commitment to the Company. Thanks to the dedication and enthusiasm of its employees, the excellent and professional service to its customers, the trust of its customers, its full basket of products for all the industries and its strategic activities Endress+Hauser Hellas S.A. has managed to considerably grow its sales. Its 2016 Net Sales will be 244% higher than those of 2007, the year before the full acquisition of the Representative and the beginning of the Greek Crisis. What was development of the mother company Endress + Hauser Group from its foundation until today? Endress+ Hauser was founded in 1953 by Georg H Endress and Ludwig Hauser, Endress+Hauser has been solely owned by the Endress family since 1975. 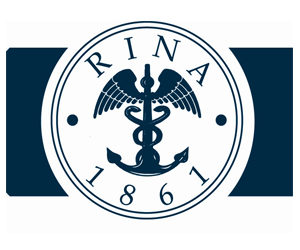 The Group nowadays is managed and coordinated by a holding company in Reinach, Switzerland. As a successful family-owned business, Endress+Hauser is set for continued independence and self-reliance. Endress+Hauser is a global leader in measurement instrumentation, services and solutions for industrial process engineering. With dedicated sales centers, 13000 personnel and a strong network of partners across the globe, Endress+Hauser guarantees competent worldwide support to its customer’s needs and requirements quickly and effectively. Since its foundation Endress+Hauser was continuously developing and launching in the market new innovative instrumentation products for process automation. Nowadays is filing every year more than 200 patents. Overall it has 5300 patents and patent applications. As from 1960 Endress+Hauser has started expanding over the globe. Today it has its own Sales Centers in 50 countries and Representatives in more than 100 countries, 26 production Centers in 12 Countries and 5 regional Support Centers for supporting its Sales Centers and representatives in Europe + Africa, Middle East, Central America + Caribbean, Central Asia and Asia Pacific. Nowadays it has more than 100000 customers worldwide and supplies them with more than 2 Million products per year. Its product basket consists of more than 2000 products in over 1 Billion design variants for virtually every requirement. What are the products that the company is mainly focused on? Endress+Hauser provides sensors, instruments, systems and services for level, flow, pressure and temperature measurement as well as analytics and data acquisition. The company supports customers with automation engineering, logistics and IT services and solutions. Its products set standards in quality and technology. All production and engineering centers are qualified according to the ISO 9001, but also to numerous customer and international standards including ATEX, FM, CSA, TIIS, IECEx, NEPSI EU PED Pressure Equipment Directive 97/23/EC ASME B31.3 , ASME B31.3 Process Piping, ISO 14000 waste & environmental and others…. All Endress+Hauser sensors, instruments and systems are manufactured under very strict quality control by Endress+Hauser in its own Production Centers and are designed to fulfill all the requirements for their specific industrial application. The main industries that Endress+Hauser is supplying with its products are the Chemical, Petrochemical, Food & Beverage, Oil & Gas, Marine, Water & Wastewater, Power & Energy, Life Science, Primaries & Metal, Renewable Energies and Pulp & Paper. 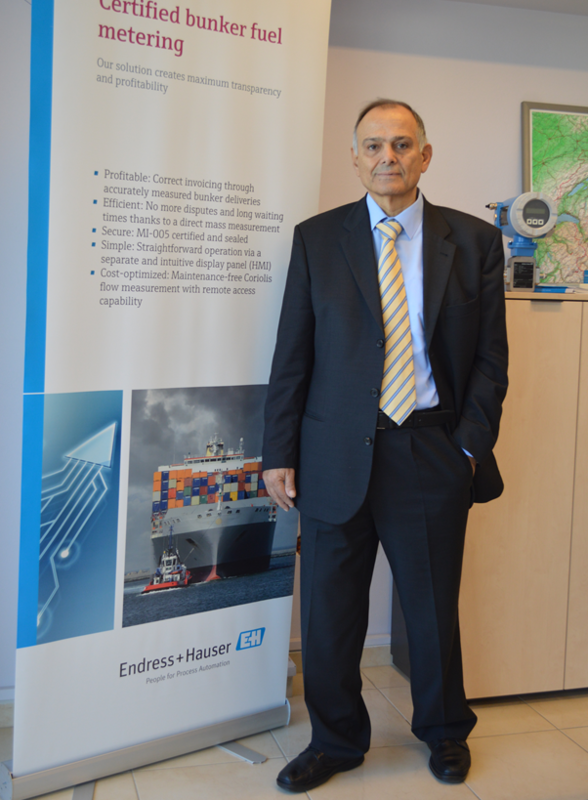 Especially in the shipping sector, Endress+Hauser has a significant share of the global market with the «Bunker Fuel Metering System». Please describe us the advantages of this system? Endress+Hauser in addition of best known for its world beating range of measurement instruments and automation products has built up an enviable reputation for the supply of Bunker and Fuel Consumption Metering Systems for the Shipping industry. Promass, its Coriolis mass flow meters provide the ‘best in class’ core sensor upon which most of its systems are built to handle all difficult conditions like entrained gas (dual-phase) as well as different Marine fuels with different temperatures, densities and viscosities. The Endress+Hauser background in automation & project solutions ensures that its Systems are fully integrated into Vessel or Energy Efficiency Monitoring Systems to operate one System, and not just as individual instruments. 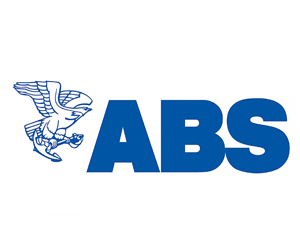 Endress+ Hauser has a truck record of Bunker and Fuel Consumption Metering Projects. 72 Bunker Metering Systems are installed on Barges and 82 on Vessels. 153 Fuel Consumption Metering and Monitoring Systems are installed on Vessels. 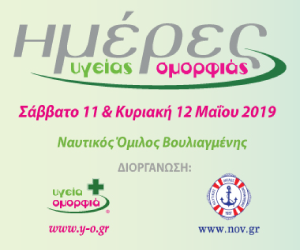 Endress+Hauser Hellas the last 3 years has supplied 1 Bunkering System for Barges, 6 Bunkering System for Vessels and 74 Fuel Consumption Systems for Vessels to Greek Ship Owners. 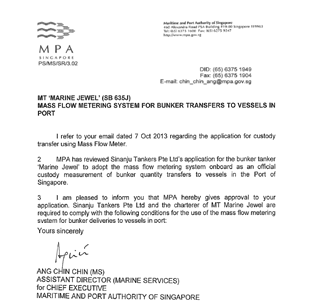 One more Bunkering Solution for Burges was sold to a Greek Ship Owner in Singapore. Currently, manual tank sounding as well as flow Metering are often used in parallel. Due to the different nature of the two methods there will always be differences and it is strongly recommended to only use one of the Systems at the same time for determining the delivered/received quantity. If an MID certified Bunker Metering System is used, no tank sounding is needed. The efforts for sounding at beginning and end of a Bunkering operation can be saved. It is estimated that this can save up to 3 hours per operation. Coriolis meters today are the most accurate custody transfer flow meters and they offer best possible properties for dealing with Bunkering process conditions. Coriolis meter based Bunker Metering Systems provide mass based Metering results. Conversion from level measurement via volume calculations (strapping tables) to mass calculations (API conversions) are not needed and inherent human induced errors can be avoided. 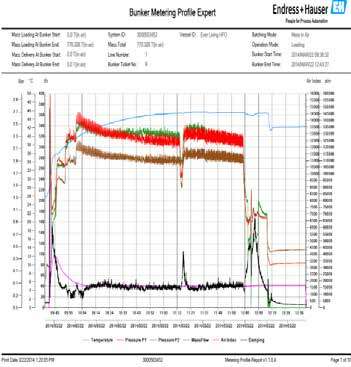 Metering results do not depend on the sounding method (sounding or ullage), reading parallax and strapping table interpolation. Also, Metering Systems do not react to rough sea conditions which cause the product to unpredictably move in the tanks making good sounding virtually impossible. 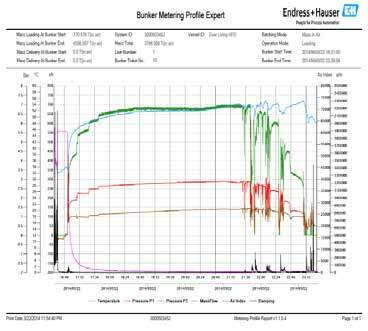 The Endress+Hauser Bunker Metering System offers some very distinctive advantages like easy set-up and operation and audit trail or multi metering line usage. The E+H Bunker Metering System is designed in a way that the operation of the System is completely done from the control room. Only components which need to be installed in the pipeline are out in the field, i.e. on deck. 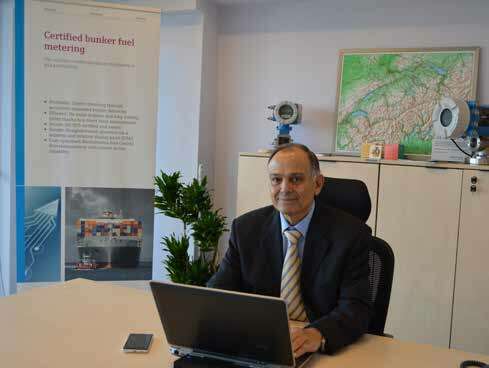 This is not only an advantage for a quite complex component like the Bunker Metering computer, the operating interface or the data storage device but also for the operators themselves. The compact bunker metering system from Endress+Hauser fits anywhere; here in an installation on a barge. Using a color touch screen allows displaying and accessing process information and System functionality in a very clear way. Different topics are organized in different views offering excellent overview and navigating. Different user levels offer the option of structuring access to different functions of the System. 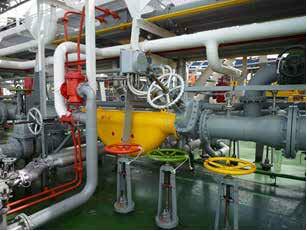 Flow Metering Systems provide much more information than just the transferred quantity. The Metering profiles allow matching the quantity information with the process conditions during the delivery/reception of product. Doubtful situations can be identified and analyzed. This can be of specific help in situations where a barge or a terminal disagrees with the Metered quantity and even letters of protest are issued. The Endress+Hauser System offers storage of up to 50 set of Bunkering operations. Totalizer values, date and time, error conditions as well as the most important flow weighted process data are kept in the operating interface. If the memory is full, the first set of data gets overwritten (fifo). Duplicate Bunker Metering tickets of these events can be printed at any time as long as it is available in the memory. Custody transfer relevant changes in System settings are recognized and stored. The Audit trail is a feature which is available from the operating interface. One Bunker Metering computer can simultaneously handle two Metering lines. This can either mean to operate two independent Metering lines or to aggregate the readings of two parallel Metering lines into one single Metering station result. The use of a fully automated line packing valve provides better metering conditions in average and consequently improved Metering results. 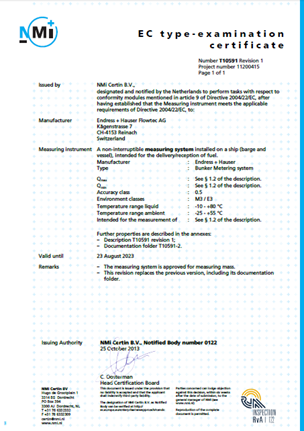 The System allows setting limit values to process parameters such as pressure and temperature. Overstepping the set limits will trigger alarm messages on the display and binary outputs which can be used for activating further signal indicators (lights, horns). How does Endress + Hauser provides supporting to its customers? Customers are always have priority and first serve then earn. Those are the top two statements of the Endress+Hauser spirit that shapes the way of working together with our customers and internally. Those strong statements are showing the importance that Endress+Hauser is putting in its customers support. To support its customer needs fast and effectively Endress+Hauser has established a worldwide presence with own entities and representatives that are equipped with highly trained Sales and Service Engineers and all the needed tooling to fulfill all their needs. Whenever necessary its local entities and representatives are supported by the regional Support centers or the Application centers. The offered range of Endress+Hauser after services by highly trained engineers like Commissioning, Operation, Maintenance, Calibration and Repair increase the availability of its customers’ plants and improve their processes and product quality. 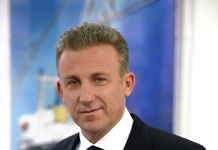 Mr Karagiorgis, tell us the future objectives of Endress + Hauser Hellas. Endress+Hauser Hellas wants to continue its growth in its four focused industries which are the Food & Beverage, the Oil & Gas, the Shipping and Water & Waste Water and sustain its sales in the other industries. This will be done with the heavy promotion of all new developed products of the Group the enhancing of our Service support to the customers and the further training of our staff. We will strongly promote our Calibration Services and soon get the NMI approval for the commissioning and sealing of the installed MID certified Bunker Metering Systems in Barges and Vessels. Επόμενο άρθροΠόπη Λαμπροπούλου – Σύμβουλος Ψυχικής Υγείας, Συγγραφέας.